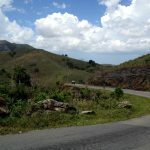 For our trip to Cuba, we flew with WestJet (you can read about that here). But Washington is closer, so for this trip we were able to fly Porter Air. 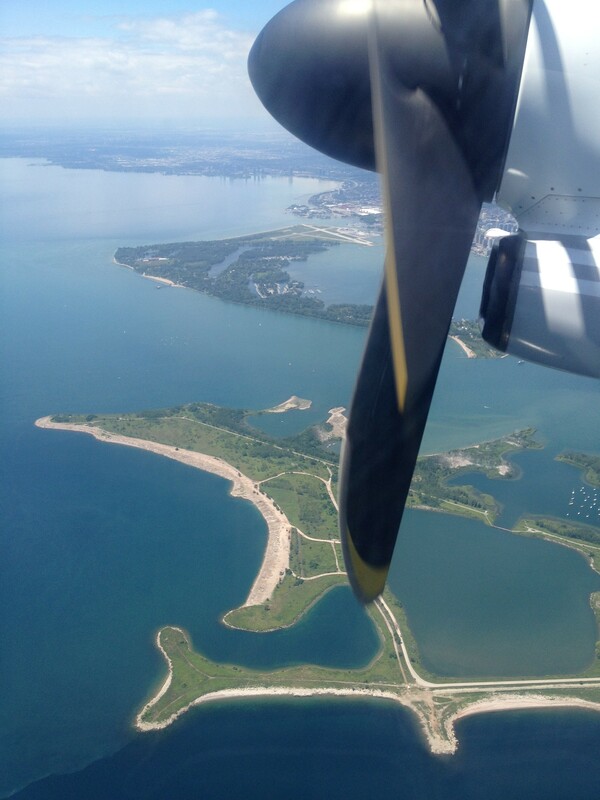 Porter flies out of the close and convenient Toronto Island Airport. It’s awesome because we can bike to it (unlike the Pearson International Airport which is 26km and 3 major highways away). Our trip to Washington was the first time flying Porter with our Bromptons. Because Pier had an early business meeting in Washington, he took the 6:45am flight and I took the 1:15pm flight. Time got away from me that morning and I ended up hastily packing my toiletries, jacket and laptop in my O-Bag, and throwing the rest of my clothes into plastic bags to put in the B-Bag, finally wrapping it up like a sausage to attach to my bike’s back rack. I left my house at 12noon. Not exactly a lot of time to get there for the recommended 60 minutes before my flight, but the Island Airport is only 4km away. Plus, I’d done the online check-in so that would save me some time. I biked to the Island Airport ferry terminal (because there’s still no bridge) in less than 10 minutes. Weeee! A ferry was already there, and since they only leave every 15 minutes, I knew I needed to catch it. I frantically started to fold my bike, but a nice Porter employee noticed and told me I could roll it right onto the ferry where the cars were. That way I wouldn’t miss it! Even though I caught the ferry, I was still short on time to check my bag, so I wheeled my Brompton all the way to baggage check-in and folded it in line. No way to hide that my luggage was a bike, and I had to pay the $25 bike fee. Compared to other airlines’ fees, which range from $50 to $150 for a bike, Porter’s is cheap. And en route to Washington where I needed my Brompton, I figured it was worth the peace of mind for my bike to be extra cared for. However, when she asked if I wanted to pay the return flight’s bike fee as well, I said no. Chances were that I wouldn’t be charged it at the other end, and I wasn’t. The attendant simply put FRAGILE stickers on the bag. After that, I passed through security in seconds, wolfed down my bagged lunch and some free juice from Porter’s lovely waiting area, and before I even had time to eat the complimentary almonds, my flight was boarding and I was on my way. 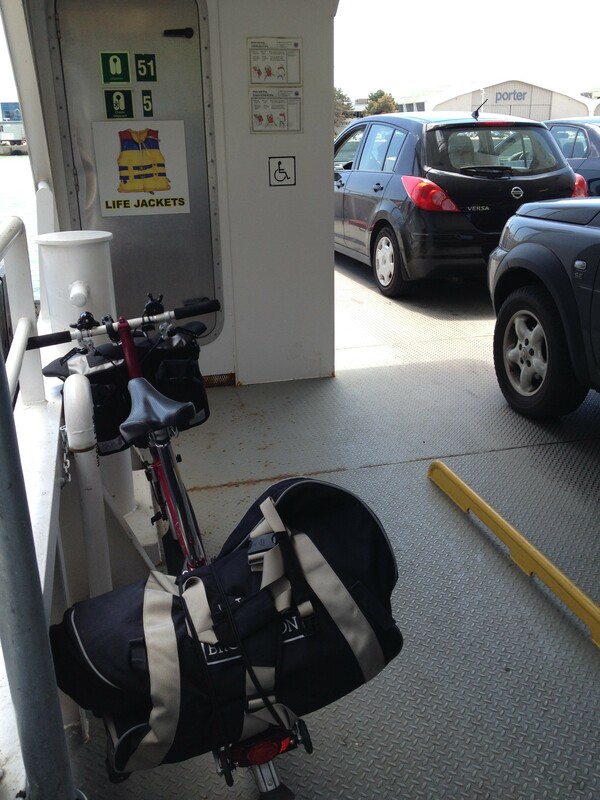 Cycle past the cars lined up for the ferry, dismount, and roll your bike right onto the boat. It takes about 5 minutes for cars and walk-on passengers to load, plenty of time to fold and pack your bike on the boat. Don’t forget to deflate your tires! Pack your bike before you arrive at the baggage check-in counter. If they know it’s a bike, they may charge you $25 for it. Otherwise, it’s a regular bag (Bromptons fit within the weight and size restrictions of checked baggage). Ask for a FRAGILE sticker, though. Do make sure the attendant has had her morning coffee and doesn’t get her kilograms and pounds mixed up! That last tip is from Pier, who had a bit of a panic at the airport when the attendant told him his B-Bag (with clothes and bike inside) was over the weight limit. And she wasn’t talking the carry on weight limit; she meant checked baggage! Pier didn’t argue with her. His tired brain thought that maybe Porter’s propeller planes couldn’t carry as much luggage as a regular jet. So he took all of his clothes and stuff out of his B-Bag, leaving only the bike. Then he had to check his carry-on because it was now too heavy. He realized later when he woke up and checked the baggage weight restrictions that the attendant had messed up her kilograms and pounds. The weight limit is 32kg, which is 70lbs, and his bag only weighed 35lbs. Other than that, flying with Brompons on Porter Air was super easy! Congrats on your new Brompton! They are well worth the wait! We have more posts coming from our trip to the US Brompton Championship in Washington D.C. In addition to our Bromptons both Heather and I ride road bikes here in Toronto so we are used to the more aggressive stance of the S bar. The only downside of the S bar is that it restricts your front mounted bag choice to nothing larger than an O bag. Apparently the Brompton S Bags with the hard plastic handle on the top restrict the turning ability of a bike with the S bar. We dealt with the smaller bag by putting our extra stuff on our back racks and we didn’t have any discomfort from riding long days with the S.
Cool. I was wondering if you guys made it to the US Brompton Championships while you were there since you mentioned you were on a business trip and not going there specifically for that event. Looking forward to hearing about it. Hopefully, I’ll be there myself next year. One last question since both you and Heather put a lot of miles on your bikes. Brooks saddle…is it worth it? Did Heather do okay without it? Would she choose a Brooks instead if she had to do it over again? Would you choose the Brooks everytime or would you be fine without it using the bike as you did? Hey Reginald, we did make it to the US Brompton Championship! We were debating if we should go but we took it as a sign that my business trip, after being delayed for months, was scheduled for the day before the championship was to start. It was an amazing time and I highly recommend going if you have a chance. We are definitely going to try to be there next year also. We have more blog posts about it to come. Regarding the Brooks saddle, I love it and Heather makes fun of my obsession with it. I find it super comfy and would highly recommend it as it now has been worn in to the perfect fit for me. I would love to put one on my regular ride-around-town bike but they tend to get stolen in downtown Toronto. The regular Brompton Saddle has a bit of a handle underneath it so it makes it easier to carry but it is black and tends to get really warm in the sun (unless you are actually sitting on it). My wife and I live in Toronto too and love touring with our Bromptons. We’ve had adventures in England, Holland (the best for bikes! ), Germany, Austria, Slovakia, and Hungary. This summer we’re headed to Ireland for a month-long tour. We would enjoy getting together and talking about touring with the Brommies sometime. Send us an email and we can sit down to a coffee! Hi John! Sorry for the super late response. We have not been on blogging hiatus. It would be nice to get together with fellow Brompton riders. 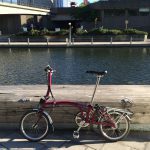 Do you know about the Brompton Urban Challenge? It’s happening on Aug. 27, 2016 and Curbside Cycle is organizing it. We will be there!